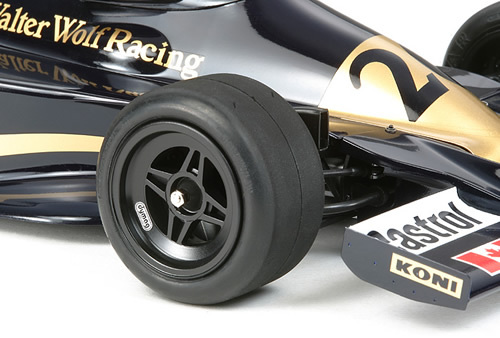 << Back TAMIYA "Wolf WR1 1977"
Walter Wolf Racing's WR1 made its debut at the 1977 Argentina GP and sensationally won the race. It was a historic result as it was the first time ever for a new team to win their debut race with a new car. 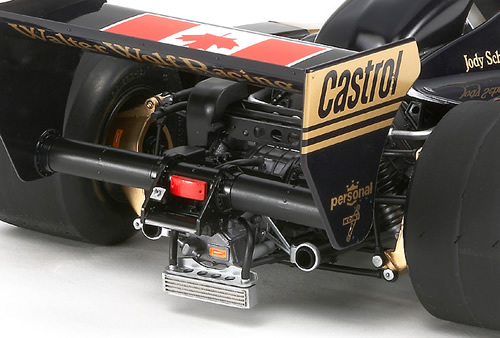 The team was founded by Canadian businessman Walter Wolf and the WR1 which featured a light and considerably compact design was designed by Harvey Postlethwaite. With Jody Scheckter at the wheel, the WR1 also went on to win the Monaco and Canadian GPs. At the end of the season, Jody Scheckter finished 2nd in the driver standings while the team finished a respectable 4th in the constructor standings despite only fielding one car. *This is a 1/12 scale plastic assembly kit model of the Wolf WR1. Length: 349mm, Width: 164mm, Height: 79mm. *Movable front and rear suspension incorporates coil springs. 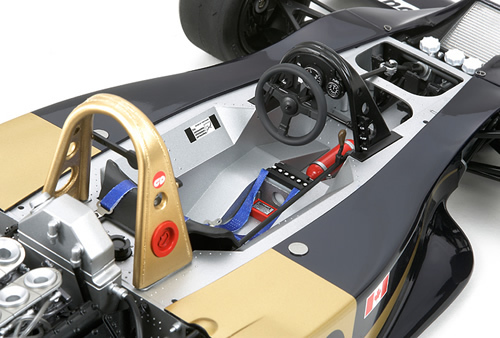 *Working steering wheel is linked to the front wheels. 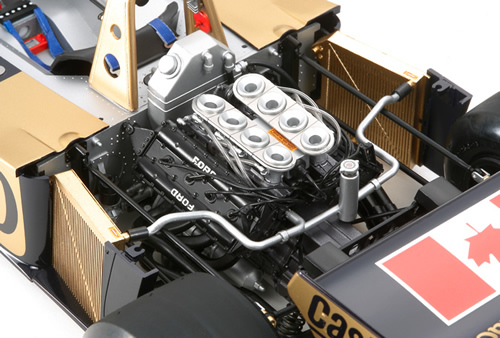 *The DFV engine, including the fuel pipes, ignition cords, etc. has been accurately reproduced. 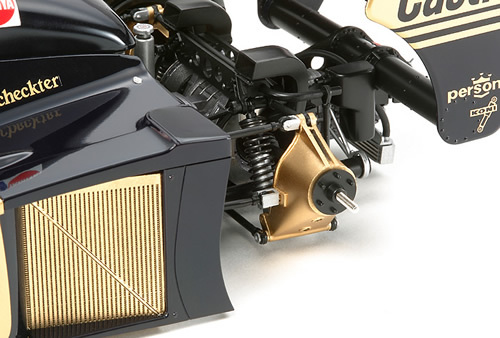 *Font fairing, cockpit fairing, and induction box are detachable even after assembly to allow you to showcase the internal mechanisms. 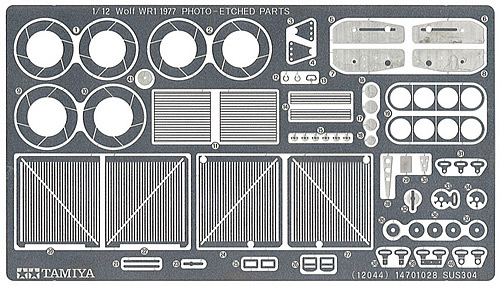 *Photo-etched parts and seatbelt parts are included to achieve greater scale realism. *Cartograf decals are included to depict cars from the 1977 and 1978 seasons.